Guide kids and their families into the heart of Christmas with this gospel-focused, four-week Advent curriculum. 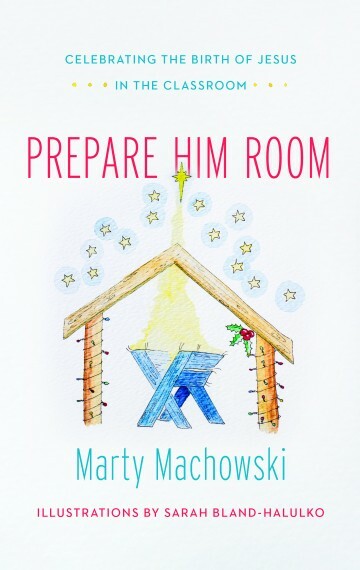 Prepare Him Room’s Christ-centered, biblical-theological approach connects Old Testament promises to their New Testament fulfillment in Christ in a way that kids can understand. With age-appropriate instruction and activities for three different learning levels—preschool, lower elementary, and upper elementary—Prepare Him Room builds gospel hope and enduring theological depth into each child’s celebration of Christmas. Four weekly lessons feature a New Testament Bible story, a look at Old Testament promises, an object lesson, a craft, a coloring page, and a Christmas carol to sing together. Prepare Him Room will change the way kids and families at your church celebrate Christmas.